A first edition Jaws is every collector’s dream piece. To own the first printed copy of the beginning of the Jaws saga would take pride of in any die hard fan’s display. 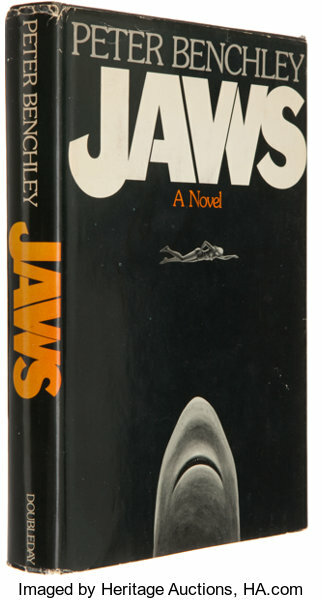 However, over the years there have been many postings on ebay and other sites claiming that they are selling a "First Edition" of Peter Benchley's JAWS hardcover book, when in fact it wasn't a first edition - and fellwo JAWS fans have spent small fortunes on regular 1974 books thinking they were first editions. 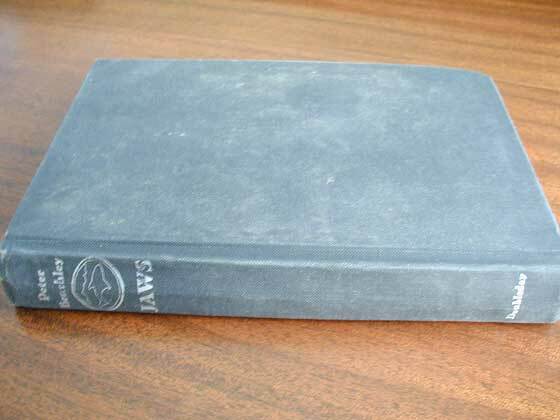 To help you become a bonafide first edition owner, here is our guide on what to look out for when purchasing your first edition of Jaws. The first edition of this classic Peter Benchley book was published by Doubleday & Company in 1974. It was 311 pages long, and the original retail price was $6.95 . 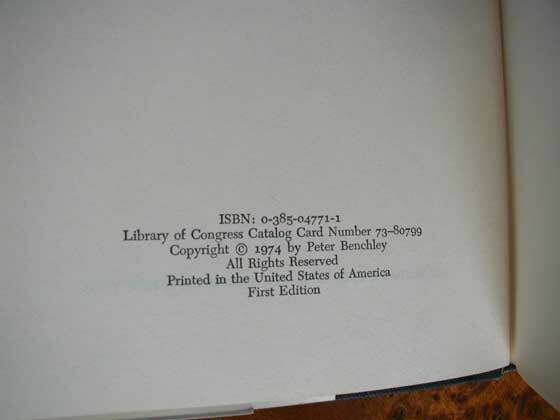 The first edition can be identified by the following criteria: First Edition is stated on the copyright page, and 044 is printed on the last page of text. Picture of the 1974 first edition dust jacket for Jaws. 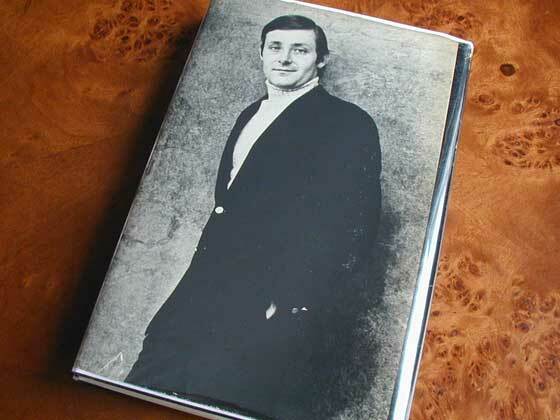 Picture of the back dust jacket for the first edition of Jaws. Picture of the first edition copyright page for Jaws. Picture of the first edition Doubleday & Company boards for Jaws. If you would some help determining if any copies of Jaws you’ve identified is indeed an original, please get in touch at mail@thedailyjaws.com and we’ll do our best to help you. The Daily Jaws as you know means friendship.